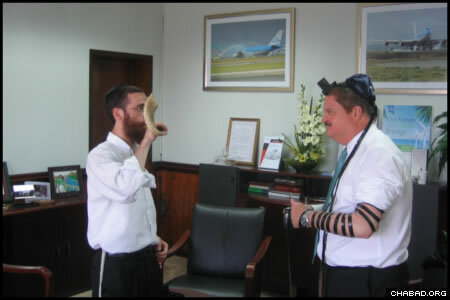 Jewish residents of Aruba, including Prime Minister Mike Eman, welcomed two Chabad-Lubavitch rabbinical students to their Caribbean island, using the opportunity to talk about spiritual matters and lead the visitors on a tour of the country. Dovid Kotlarsky and Shua Greenspan travelled to the Netherlands realm last week as part of a swing through the islands of Aruba, Bonaire and Curacao. They were among 400 students sent to communities around the world by Merkos L’Inyonei Chinuch, the educational arm of Chabad-Lubavitch, and its colloquially-known “Roving Rabbis” program. With a Jewish history going back more than two centuries, Aruba today is home to an estimated 35 Jews. Its Jewish prime minister leads the Aruban People’s Party. 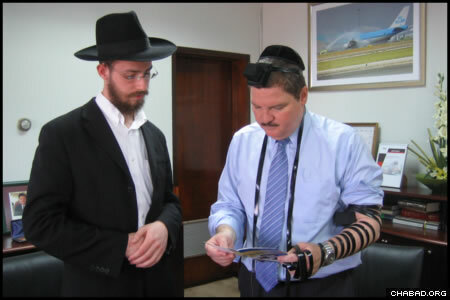 Aruban Prime Minister Mike Eman, the country’s fifth since gaining constitutional independence from the Netherlands, dons the Jewish prayer boxes known as tefillin with a Chabad-Lubavitch rabbinical student who travelled to the Caribbean island as part of the “Roving Rabbis” program. 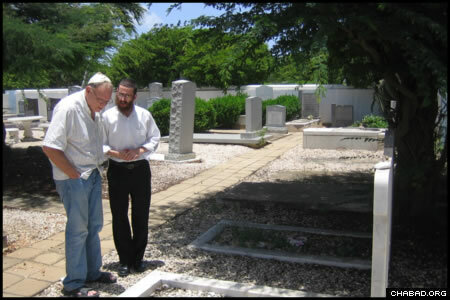 Tony, an informal leader of Aruba’s small Jewish community and its de-facto historian, led Dovid Kotlarsky and Shua Greenspan on a tour of the island, including the cemetery where his parents were buried. Prime Minister Mike Eman shows the students a photograph of his recently passed-away mother. Eman’s father, Henny Eman, was Aruba’s first and third prime minister. Eman’s office sits in Aruba’s parliament building. 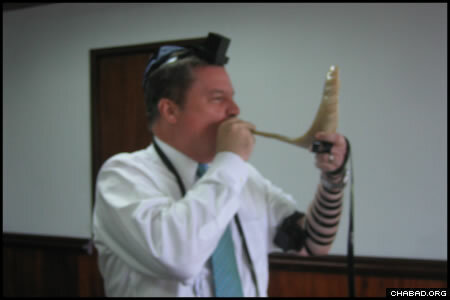 The students also blew a ram’s horn known in Hebrew as a shofar, a daily custom in the month leading up to Rosh Hashanah. Eman tries his hand at the shofar.